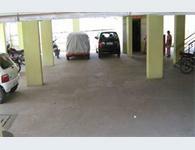 Looking for a property in KPHB Colony? Have a property in KPHB Colony? KPHB Colony, Hyderabad is rated 9 out of 10 based on 1 user reviews. Have a good knowledge of KPHB Colony? Share it and become a Locality expert. West facing 2bhk apartment for sale at kukatpally.Ready to occupy.1080 sft -3rd flr-wood work done grills fitted.No parking but can be arranged. Manjeera Trinity Homes comes from its inspired location right in the heart of new Hyderabad, JNTU-Hitech City Road in Kukatpally, Asia’s biggest colony. Sky Villas offer luxury of living in villas with panoramic views that just can't be had on ground. With only one villa per floor, a home theater lounge and a spa pool, connoisseurs of excess have plenty to occupy them here. The impressive 23-storied structure - with an arresting presence - stands tall on one side of the road making the skyline come alive with its fascinating silhouettes, majestic cuts, curves and domes. 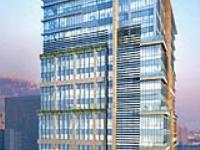 It costitutes a 2 & 3 BHK deluxe apartments.